A baby needs to be fed every 2 or 3 hours in the first few weeks and should be nursing 8 to 12 times per day.If a mother decides to breastfeed; it is said that their breast milk is the perfect food for a baby’s digestive system. It contains vitamins, minerals, and antibodies that help protect infants from a wide variety of infectious diseases. Now, why is this important for Christians to know? In 1 Peter 2:2-3 (NIV) it says “Like newborn babies, crave pure spiritual milk, so that by it you may grow up in your salvation, now that you have tasted that the Lord is good”. Do you remember when you first asked God to come into your life? Was there a particular sermon or person that gave you a desire to find out more information (vitamins and minerals) about Christ and about your christian walk? I can remember going to the library and getting all kinds of christian books on different topics regarding the christian application, devotionals, and study guides. It was as if the world felt like it was expanding as there was so much of the spiritual realm to explore! Just like newborn babies are fed numerous times throughout the day because of their appetite, so are many of you out there. Hungry to know more about the Lord, hungry to apply his word and hungry to tell others about your testimony. It’s a wonderful space to be in, even within the mysteries and confusion of not knowing where to start, or even the possibility of losing friendships as you begin to separate yourself from your past. 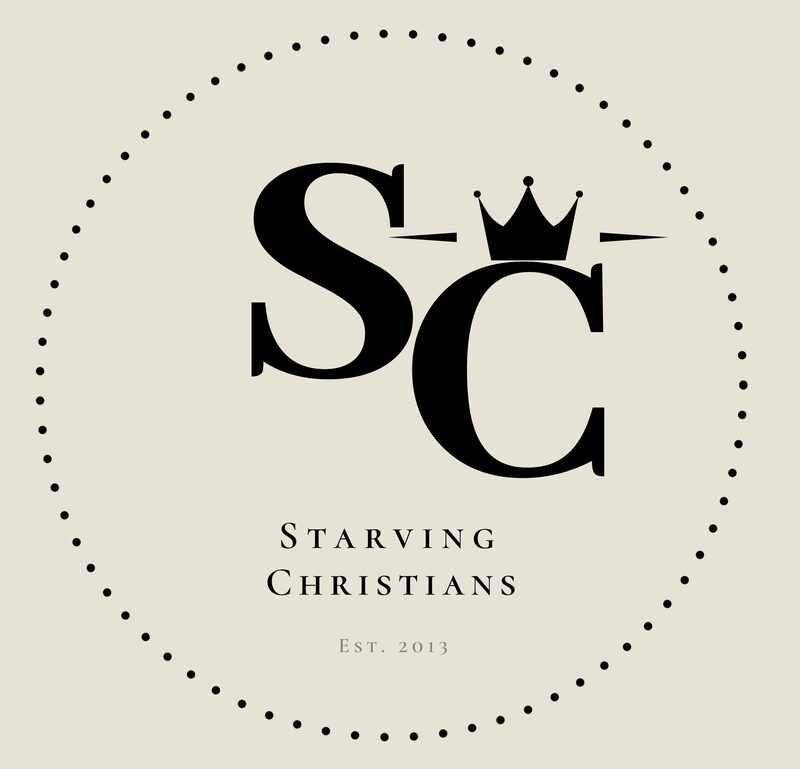 I used the term “Starving Christians” for the title of this blog because “Starving” means to suffer or die from extreme or prolonged lack of food. A “Christian” is a person professing belief in Jesus as Christ or following the religion based on the life and teachings of Jesus. If we do not feed ourselves daily (just as newborns) or go for a prolonged period of time without the word of God, our spirit man becomes weak. Which leads us open and susceptible to the enemy to attack us from every direction in our lives. This is called Spiritual warfare. In recognition of these spiritual attacks, this blog is dedicated to build your appetite within the word and within the growth of your christian walk–no matter if you are a newborn in Christ or a seasoned christian. My mission and prayer, as the founder of this blog, is that : 1) You will be able to hear testimonies from others as they are learning their own christian walk 2) Explore topics on the integration of mental health and spirituality 3) Gain understanding on fundamental concepts of what it means to be saved, God’s grace, walking in obedience, and so much more! Many Blessings to You on Your Journey– And welcome Starving Christian, You are at the right place!